Available in different sizes; wheeled or non-wheeled. 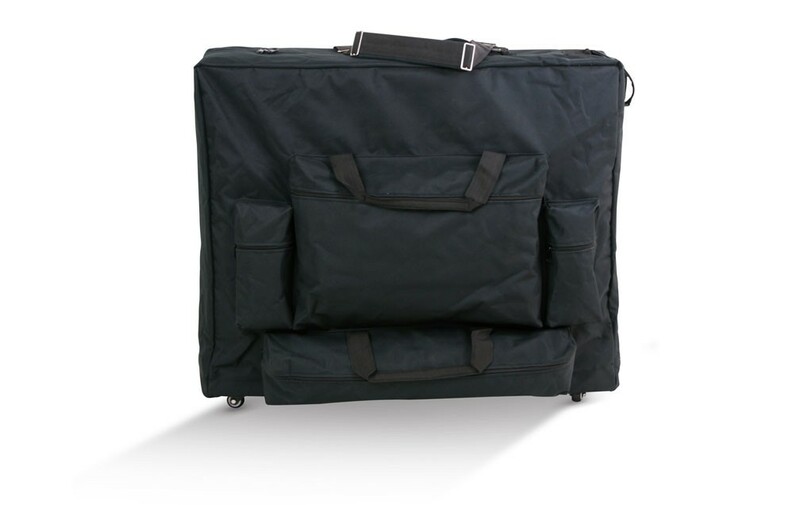 Our nylon Deluxe Carrying Cases come in different sizes to accommodate most massage tables. Choose from either wheeled or non-wheeled. 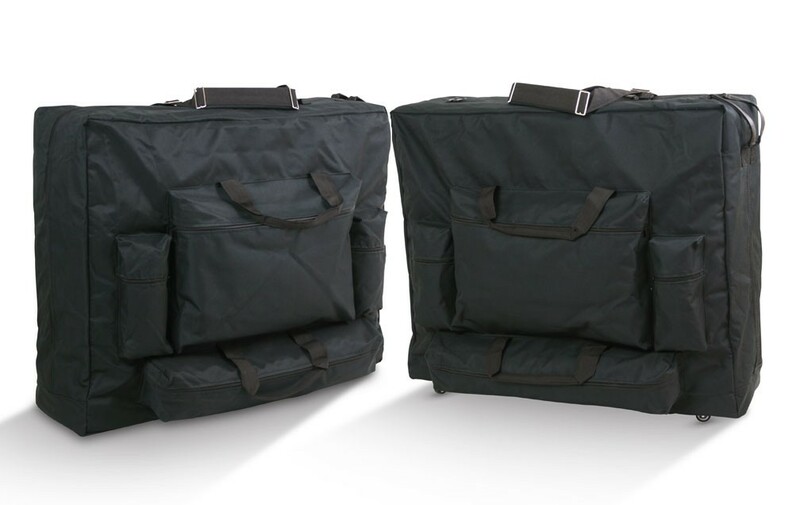 Both Deluxe Carrying Cases have a shoulder strap and four generously sized pockets to carry massage accessories. 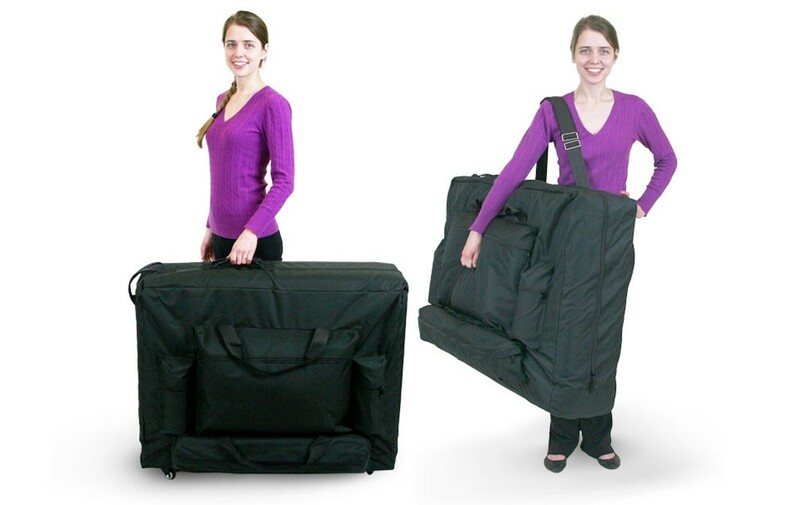 Having a quality carrying case for your portable massage table is a must! It allows for easy transport of your table, keeps your table free from tears and scratches, and lets you store necessary accessories when you’re on the go. 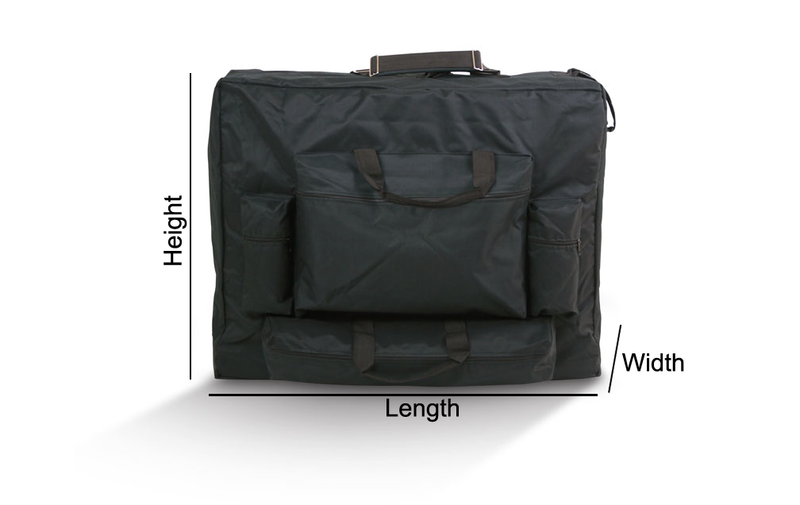 Our well-made, durable nylon massage table carrying cases can accommodate 26", 28", 29" or 30" massage tables and you can choose from either the wheeled or non-wheeled version. Both the wheeled and non-wheeled cases feature an adjustable padded shoulder strap, a generously sized front pocket for pillows and blankets, a larger cylindrical pocket for rolled up mats, and two smaller cylindrical pockets that can accommodate bottles of massage oil or lotion. The wheeled Deluxe Carrying Case has four smooth-gliding casters that let you guide your table with ease while saving your back from stress and strain.